The city of Dolores was first established as a city in 1900 when it became a major stop on the Rio Grande Railroad. Today, it is a center for recreational activity and educational and cultural history. Dolores boasts one of the largest lakes in Colorado, McPhee Reservoir. This reservoir is the perfect place to spend an afternoon fishing for Kokanee Salmon, Small and Largemouth Bass, Walleye, and various kinds of Trout. The Dolores River, named by two Spanish priests in honor of "Our Lady of Sorrows," is perfect for whitewater rafting and kayaking with rapids ranging from class II to IV. This is the perfect adrenaline activity for history buffs; you will pass through canyons filled with interesting geological formations and beautiful colors of the sandstone cliffs. The Dolores River Valley is filled with beautiful history; visit the Canyon of the Ancients National Monument, the Hovenweep National Monument, or the Mesa Verde National Park to learn about how Natives to the area built and established their homeland. See the area's beautiful archeology at the Anasazi ruins, and learn about them in the nearby Anasazi Heritage Center Museum that has over 2 million artifacts and exhibits. Snowmobile in the San Juan National Forest north of Dolores. 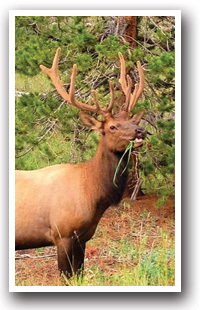 There are over 100 miles of groomed trails that are perfect for wildlife lovers and history buffs. A popular area is the Boggy Draw Trail System. 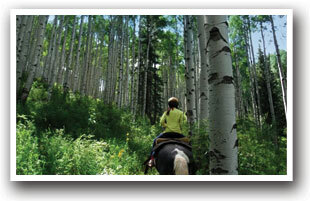 Two Scenic Byways run through this area: the San Juan Skyway and the Trail of the Ancients. The San Juan Skyway is a big loop along Highways 145 and 550 that runs east to Durango, north to Ridgway, and then back south through Telluride until you reach Dolores again. 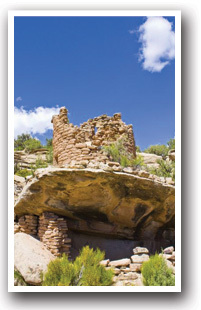 The Trail of the Ancients connects with the Utah border at two places: down south at the Four Corners Monument and up north near the Hovenweep National Monument and Canyons of the Ancients National Monument. Dolores is 39 miles north of the Colorado-New Mexico border along Highway 160 and is 40 miles east of the Colorado-Utah border via Highway 491. 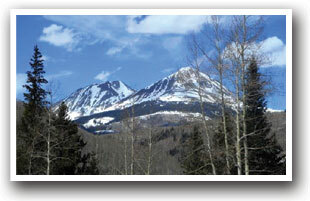 Cortez is 12 miles to the south and Telluride is 65 miles to the north along Highway 145. 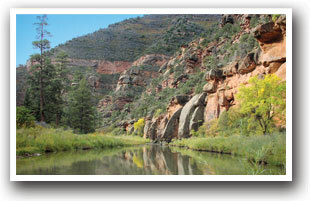 Stoner is 15 miles northeast of Dolores along Highway 145 and McPhee Reservoir is just west of Dolores. Commercial air travel accommodations are handled by the Cortez Municipal Airport or the Durango-La Plata County Airport. Please contact your preferred travel agent or airline for flight arrangements.